The whole social aspect the university had made me really want to study here. It just seemed the best suit for me. “On the Open Day, the University had a great vibe, along with the great facilities for my Civil Engineering course. The whole social aspect the University had made me really want to study here. It just seemed the best suit for me. 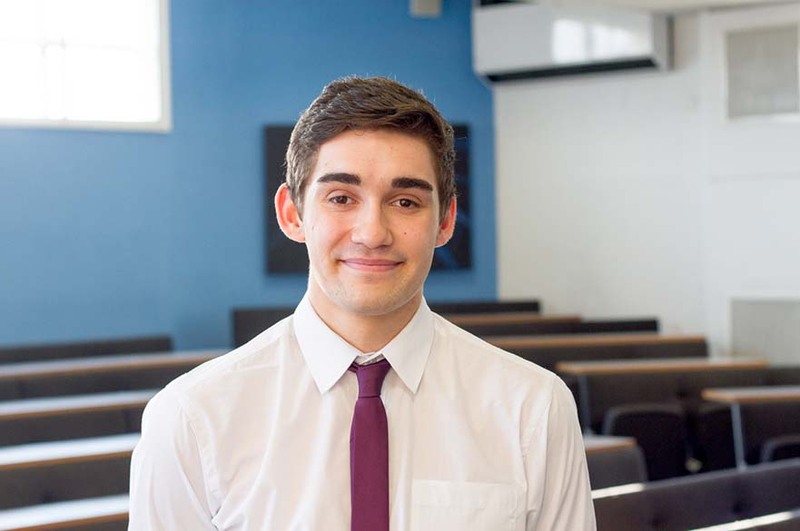 “The course has great depth into a large number of engineering fields, combined with the great people and staff involved with my course that make the course easier to study, NTU provides a great environment for engineering and they are also developing master program to further what they already have. “We have had loads of industry speakers and people with experience in the construction industry, I really enjoyed one recently by John Pike OBE a former lecturer at NTU. He gave a great idea of what the current state of the construction industry is and how much it has changed since he first started his career. “I underwent a year placement during my third year and was the site engineer for Kier Construction Northern on a £20M retail project in the north-east of England, which was a great and testing experience. I gained massive experience and it is something that I will be able to use forever whilst working in the construction industry. "Make sure you are willing to work hard by yourself and in groups, if you are creative and enjoy or are good at math’s and physics it’s a huge help, engineering is a great qualification to have and can get you into many different career paths."